Give Into Your Desires with Genuine Dutch Passion Seeds! Dutch Passion was one of the first successful seed banks & they're still one of the best! The preferred brand for more than 450 European head shops, this elite crew develops more new cannabis seeds each year than any other operation. Check out what's cookin' at Dutch Passion! Buy Your Smokin' Hot Dutch Passion Seeds Today! The Ultimate Guerilla Strain for the UK! Auto Duck has a curious look that you'll enjoy anywhere, but her speed & hardy Frisian Dew genetics make this unique weed seed perfect for stealthy outdoor areas in northern latitudes. This is the one! Fast, Strong, High-Yielding - Low Odour! Not everyone will be able to do it, but one of Dutch Passion's best testers pulled a full kilo off one Auto Ultimate seed. Hard to believe, but the pictures prove it! A 10-Weeker with up to 135 High-Quality Grams! Popcorn not included, most testers yielded about 135 gr/seed from AutoBlackberry Kush. That's an impressive number for a fully autoflowering cannabis seed! Fast & compact with XL yields, AutoBrooklyn Sunrise is perfect for small spaces, inside or out. You'll love the mango/pineapple aroma almost as much as the happy head high. Ready to wake & bake? Blueberry & Girl Scout Cookies! Girl Scout Cookies is, without a doubt, one of the most popular American strains there is, and Auto Blueberry is no slouch. That makes AutoColorado Cookies a double-hit wonder! Tastes Like Berries & Mint - or Sweet Mango! More Intoxicating than Any Frozen Cocktail! AutoDaiquiri Lime is exactly what she sounds like - a powerful intoxicant with a drool-worthy lime flavour & a tempting citrus aroma that'll keep you coming back for more! 11 Weeks from Seed - Massive Yields! A Wicked-Good Sativa from South Africa! Popular since the 1970s, the original Durban Poison is a real mind-bender with plenty of power & a high resistance to mould. 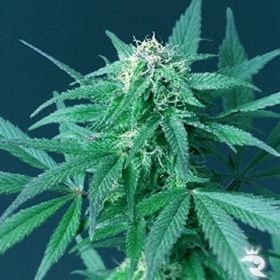 This autoflowering version is exactly the same, only way faster! A Happy, High-Yielding Skunk for 1st-Timers! AutoEuphoria Seeds are classic Skunk to their very core, only way faster. It only takes 10 weeks from seed to get a stash full of the good stuff with this super producer. AutoFrisian Dew: The UK's First Outdoor Auto! Leave it to Dutch Passion to satisfy your every need! 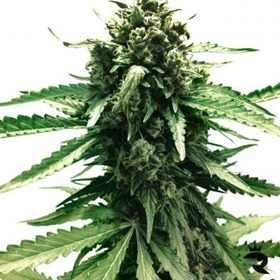 Their new AutoFrisian Dew is the very first fully autoflowering cannabis seed capable of thriving in the harsh UK climate. Sweet Earthy Flavours - Strong & Hardy! 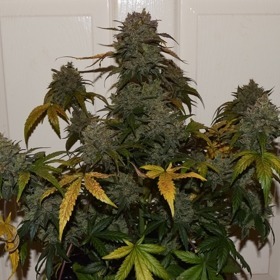 AutoMazar is from dutch passions latest line - This automatic Mazar produces picturesque tight compact buds with orange pistols that have a really sweet aroma just like the original mazar. Up to 500 gr/m2 in 10 Weeks Flat! With finishes like that, why not go with AutoNight Queen? The testers even said this incredibly strong AutoFem rivaled the Original Queen of the Night in power, yield & flavour! Extremely Heavy Buzz - Couchlocking! Rich Afghan Kush Aroma - Thick! With AutoWhite Widow, it only takes 10 short little weeks to reach maximum frost! This updated hybrid stays true to her famous mother in every single way. Yields Can Reach as High as 200 gr/seed! AutoXtreme - Up to 303 Grams from 1 Seed! So good it took two sets of breeders to create, AutoXtreme is the 1st joint venture between Dutch Passion & Dinafem. She's a potent Haze with strong highs & amazing quality. 100 gr/seed in 10 Weeks is Totally Possible! Blue AutoMazar is fast & high-yielding, but you'd love this strain even if she was slow & light. The flavour, fragrance & dazzling colours are a real treat all by themselves. Blue Moonshine is a SUPER potent Blueberry Indica is short, yields high, and is said to be ideal for the indoor Cannabis gardener growing in a vertically limited space. A true classic, Blue Velvet languished in the Dutch Passion gene pool for years before your unyielding demands brought her back. Pick up a pack of these velvety smooth seeds & party like it's 1999 - again! 19% THC, 8-Week Finishes, Monster Yields! 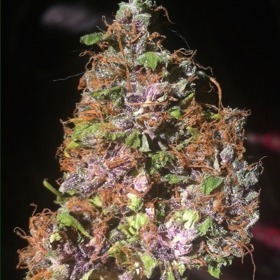 THE Original Blueberry is a MOSTLY Indica (80% Indica, 20% Sativa) strain that dates to the late 1970's. Brainstorm (a.k.a. 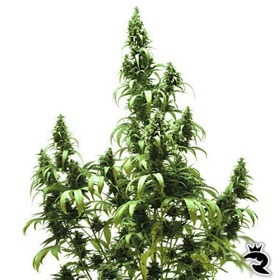 – Hempstar) is a sturdy plant with the power and yield of the famous Northern Lights #5. As one of the very first cannabis seed shops ever to appear in Amsterdam, Dutch Passion have had a lot of time to perfect their research, development and production methods that result in their catalogue of premium cannabis seeds. Now they are at the top of their game and ready to offer you a set of seeds that defy belief. When you get your own Dutch Passion seeds today, you will be in receipt of seeds that have been genetically controlled in a way that no other seed breeder can claim to be able to replicate. Many have tried and failed. Rhino Seeds is over the moon to now offer you Dutch Passion’s premium range of cannabis seeds that represents the very best of what they have achieved over the years. Pick up your Dutch Passion Seeds Now!